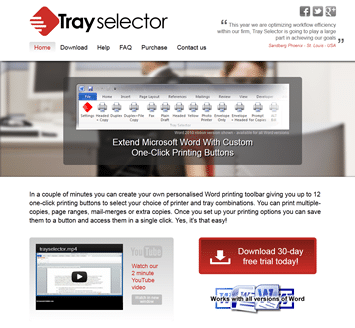 Tray Selector is a printer utility available for all versions of Word running on Windows PCs. One of the key objectives of the site redesign was to achieve a more modern looking website, but with a target customer base largely composed of workers in the legal and professional industries, with a design that maintained a businesslike image. 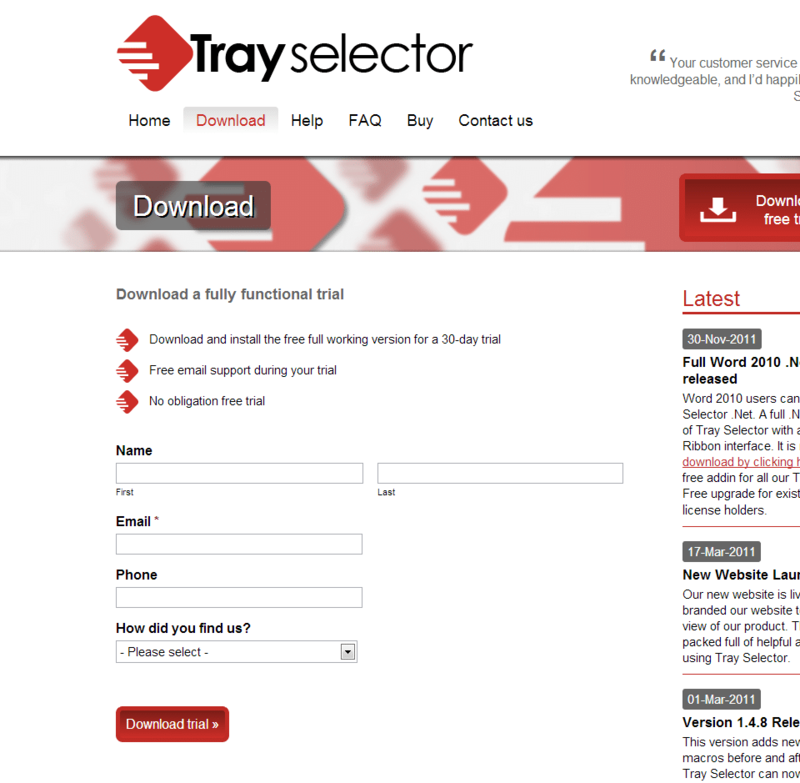 Working with Tray Selector we developed a number of design options that all had a “Web 2.0” look and feel. The final design was chosen and the site was re-developed. We moved it from static HTML + IIS onto WordPress. The existing integration with 2checkout for credit card and paypal purchases was preserved, with discrete modules being added for testimonials, FAQs, Help and Articles. Due to the nature of the client base, it was important to include support for versions of Internet Explorer going back to IE6. Using a tool called PIE we added support to older versions of IE for many of the features like gradients, multiple backgrounds and rounded corners that give the design it’s distinctive look, without sacrificing fast loading times, or adding to the complexity. Existing content was migrated over, and an SEO plug-in was added, complete with training, to help the site editors get a higher profile.